Educational Qualification: HSSLC passed with Biology & Computer Knowledge. Preference will be given to candidate having training in Medical Record Technician Training in Govt. Hospital/Medical College. 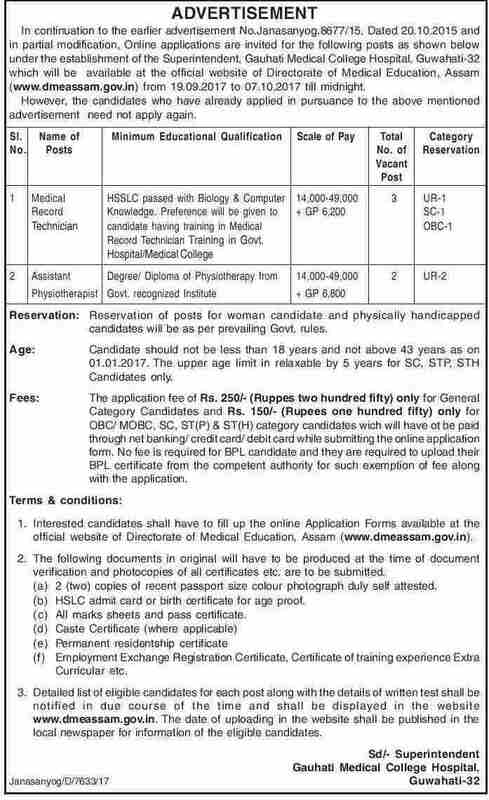 Educational Qualification: Degree/ Diploma of Physiotherapy from Govt. recognized Institute. Age: Candidate should not be less than 18 years and not above 43 years as on 01.01.2017. The upper age limit in relaxable by 5 years for SC, STP, STH Candidates only.